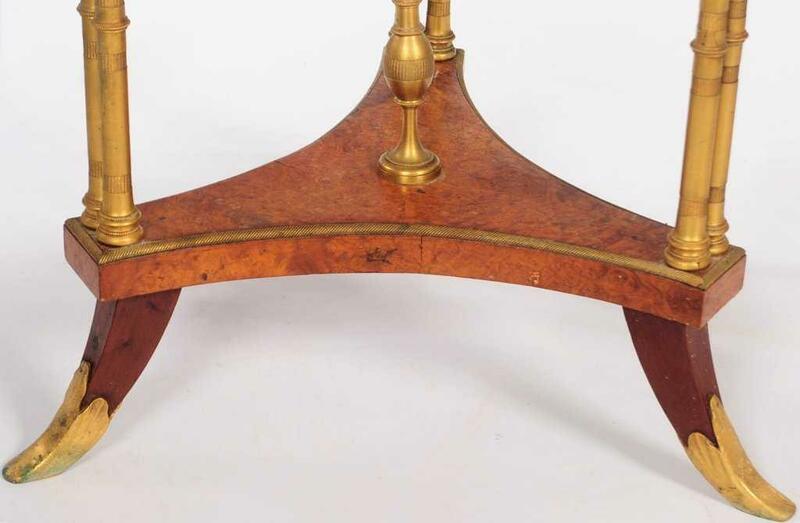 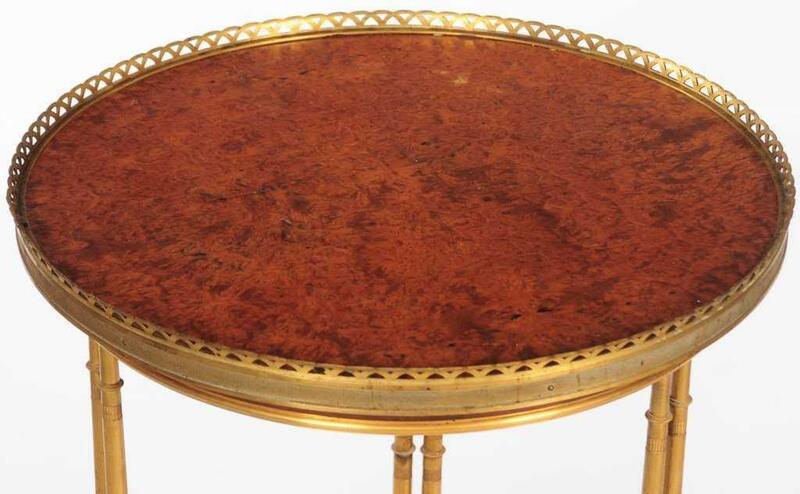 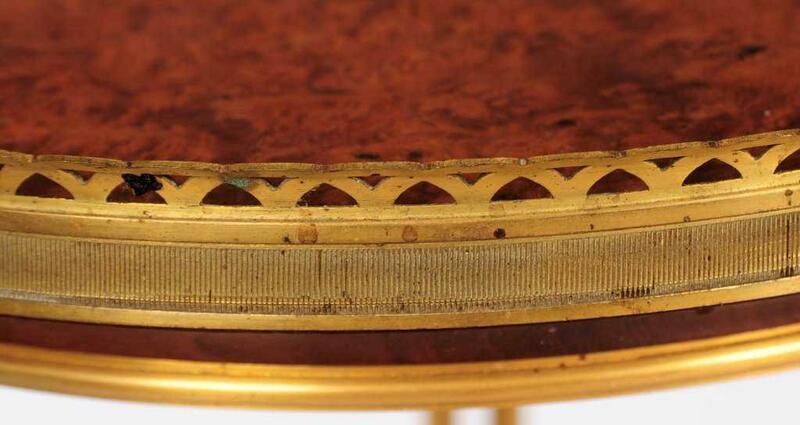 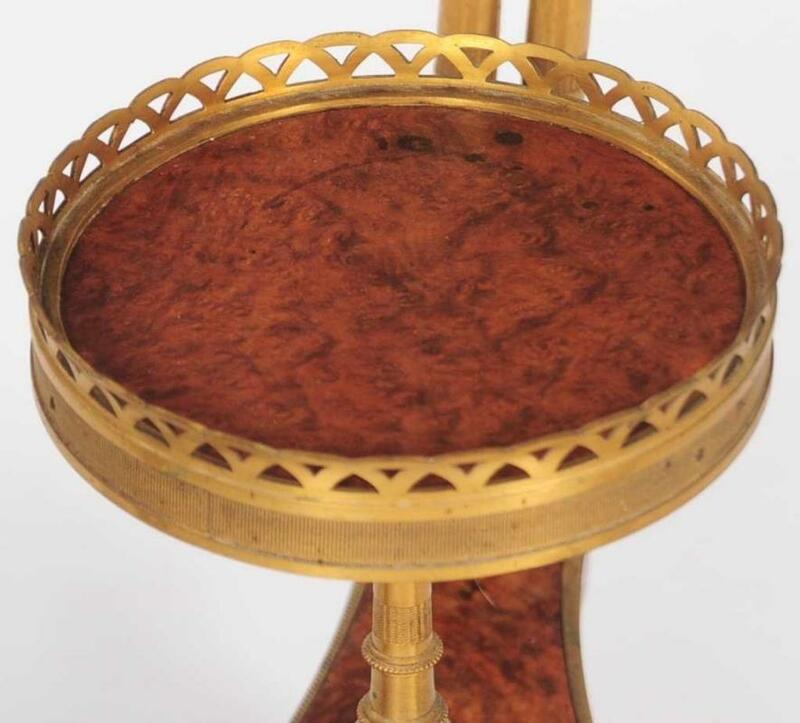 Our exceptional Louis XVI gueridon in the manner of Adam Weisweiler (1744-1820) features a circular top of burled amboyna with pierced, gilt brass gallery, supported by three pairs of bamboo form bronze upwrights joined by a concave shaped tripart stretcher of burlwood with galleried tazza of burlwood, raised on three splayed legs with bronze sabots. 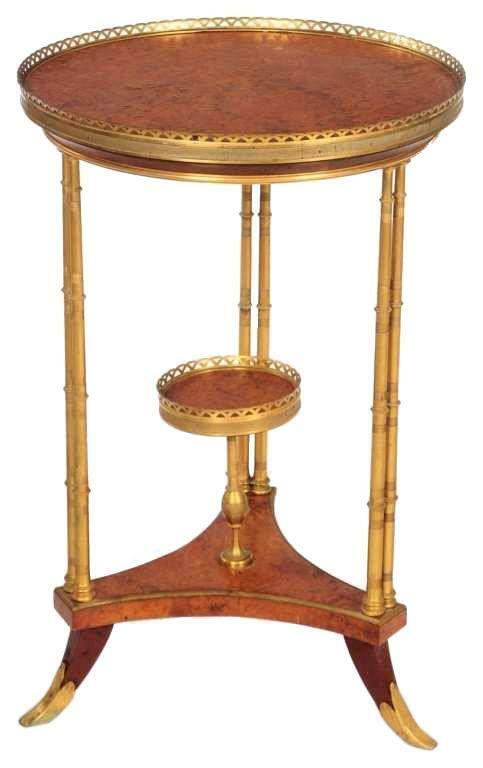 31 x 20 x 20 in; 78.7 x 51 x 51 cm. 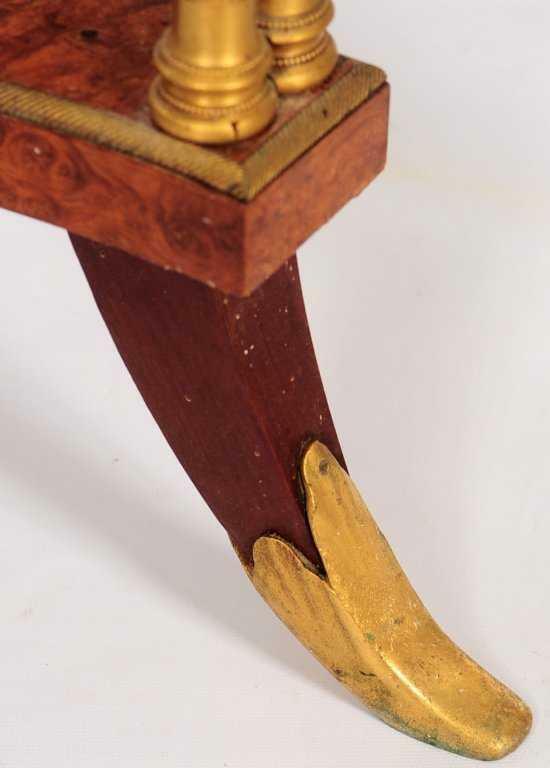 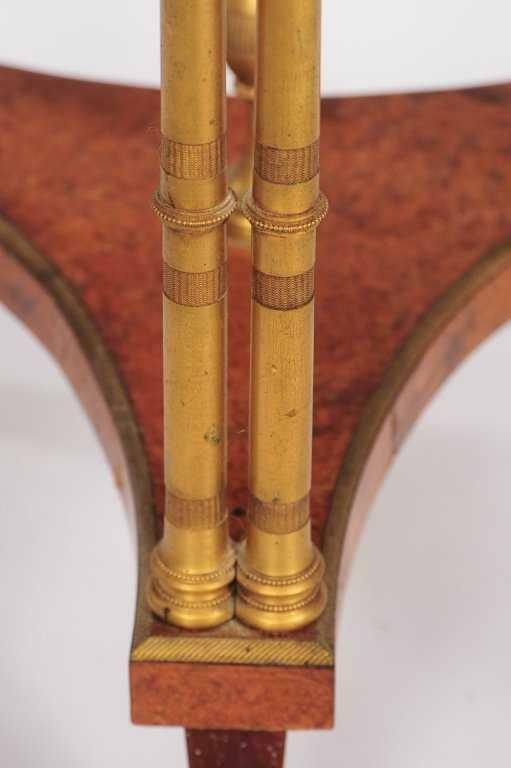 Condition is very good, with some loosening, visible crack to the amboya veneer on base, and signs of verdigris visible on the bronze feet and small spots on the top gallery.